Peru’s dry season takes place during the southern hemisphere’s winter months. During the dry season, the country sees warm days filled with sunshine followed by chilly evenings, especially at high elevations. Since it’s a great climate to enjoy any and all of Peru’s attractions, this is when tourism is booming and most travel takes place—specifically in June through August. If you’re going to visit at this busy time, you should plan your trip six to nine months in advance, as it can be hard to find last minute accommodations. If you dream of a mountainous retreat, definitely plan your stay during this season. It’s the best time to hike Machu Picchu, the Inca Trail leading up to the mountain, and to visit the nearby city of Cusco. Since there’s little rain, you’ll find endless sunshine and astonishingly clear views. If you’re planning to hike, just be aware that while the days are warm, the nights can get very cold. If you long for an Amazonian expedition, there’s no bad time to go—it just depends on what you have in mind. The climate is consistently tropical and humid all year, but during the dry season temperatures can reach close to 100°F. However, due to less rain, there are significantly less irritating mosquitoes. Wildlife is also more likely to come closer to the river’s edge. Although the dry season brings subtle differences, don’t let the name fool you; the Amazon is still a tropical rainforest, and heavy rainfall is ever-present. 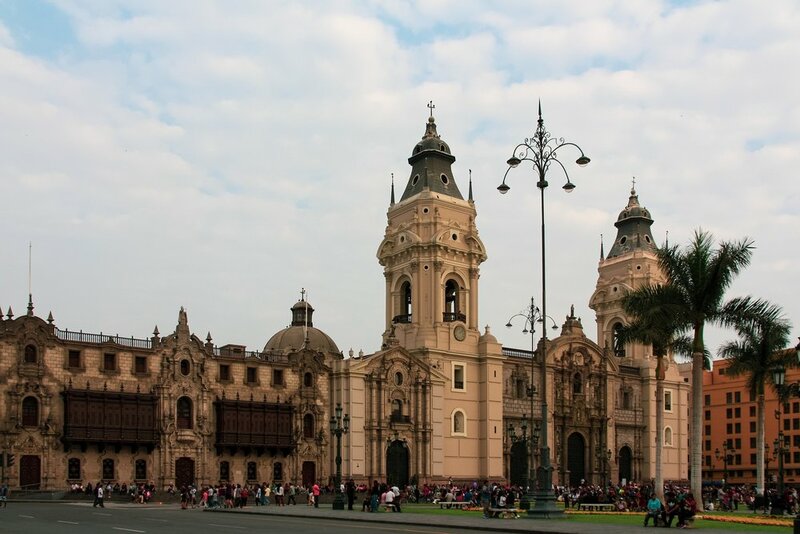 If you’re looking to sun yourself on the coast and explore the vibrant city of Lima, the dry season isn’t the best time to visit. During the winter months, a thick fog known as garúa rolls over the region, bringing cooler temperatures and a gloomy drizzle. Lima even gets a nickname during this time—“Lima la gris,” meaning “Lima the gray.” The further north you travel, the more the sun begins to peek through the clouds. But while it’s still warm in the winter, only the most northern beaches have water that’s warm enough for swimming, and there isn’t much surf during this time of year. The summer months bring frequent, heavy rainstorms. With a couple exceptions, the wet season isn’t the best time to visit many of Peru’s sites, simply because constant rain makes travel more difficult. October through December is a great time for those who want to beat the crowds of peak dry season but avoid the times of heavier rainfall. These months mark the end of dry season and beginning of wet season and are generally very pleasant. The ethereal cloud forests are bustling with beautiful flora and diverse birdlife, and the temperatures are rather mild. Although travel as a whole is less popular than during the dry season, airlines and hotels consider mid-December through mid-January another peak season. Lima is at its best during the summer months. As the dark fog recedes, the city comes alive. While it’s called the wet season, Lima and its surrounding region is extremely arid. That means you’ll find plenty of warm, summer sunshine. As a whole, the coastline is hot and dry, becoming more so the further north you travel. It’s ideal weather for visiting Peru’s stunning beaches; the water is at its warmest, and there’s amazing surf. The wet season brings high waters and cooler temperatures to the Amazon. Despite being the “wet” season, it only sees 10% more rainfall than the dry season. 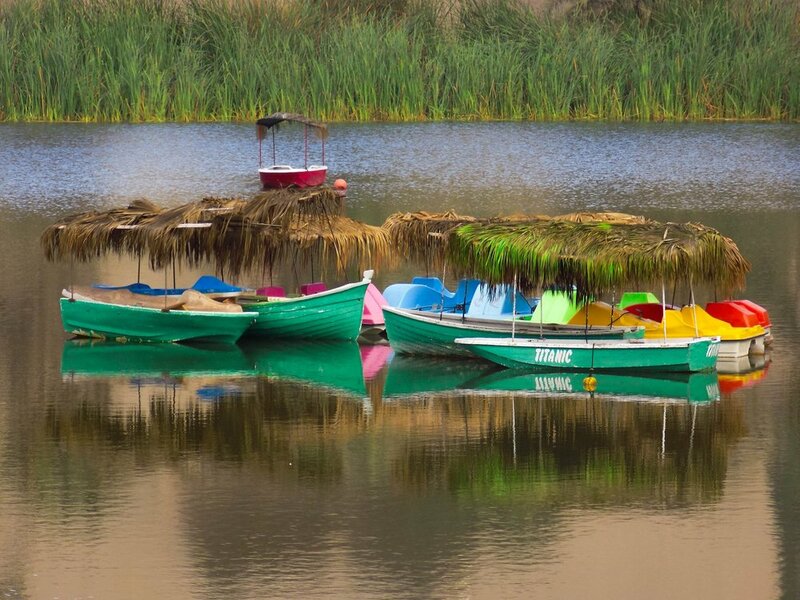 Even so, water levels rise significantly, and the best mode of transportation is by boat. Many pathways can no longer be walked, but the rivers become fuller, with more runoffs and winding waterways. If you wish to explore this tropical destination by boat, then the summer months are the way to go. 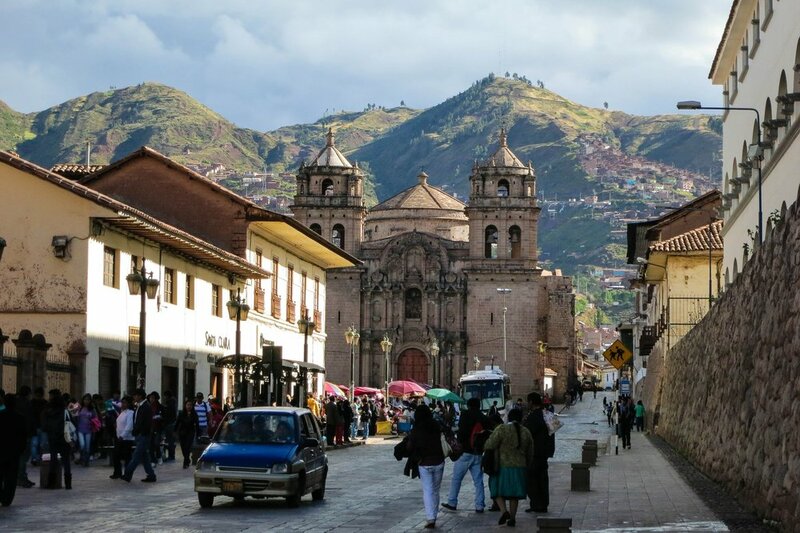 Unfortunately, the wet season is less than ideal when it comes to Cusco, Machu Picchu, and the Inca Trail. Heavy rain makes any kind of hike treacherous, and the Inca Trail even officially closes during February for this very reason. In the highlands, the climate is actually milder, and once the sun goes down, temperatures quickly drop, as well. This, combined with the rain, makes all treks not only uncomfortable, but dangerous. After the heaviest storms of January and February, more visitors begin to arrive as the rain slows down. Tourism begins to buzz around Easter, with the country enthusiastically celebrating during the week leading up to Easter Sunday. This timeframe is also a great option for those looking to combine a trip to Peru and the gorgeous Galapagos Islands.